Furniture goes separately from the dollhouse!!! 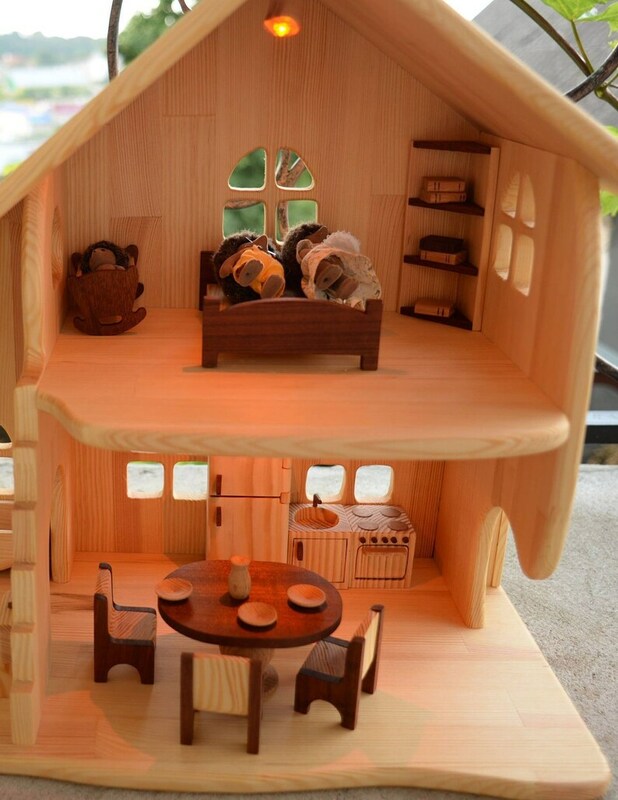 This furniture fits for dolls 10-12cm/4-4.5inches tall. Every piece is perfectly sanded and finished! I'm 100% confident my little guy (3.5) will have hours of fun playing and imagining with these. Fun surprise, the refrigerator has magnets in the hinges so no worries about broken doors. Thank you for such wonderful details! !